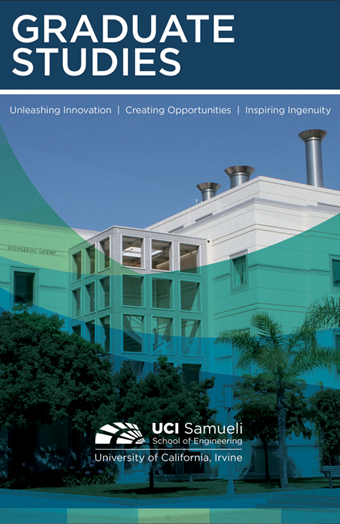 The Samueli School of Engineering faculty generates the latest knowledge in areas that offer high growth potential, including nano-scale technology, biomedical engineering, information technology, energy, transportation and the environment. The school's 114 faculty members are scholars and leaders in their disciplines, and have achieved worldwide honors and recognition for their pioneering research and dedicated teaching. Nearly a third are fellows in professional societies, and 11 are members of the National Academy of Engineering. The school has 16 endowed chairs, three Distinguished Professors and three Chancellor’s Professors. For more in-depth information regarding our faculty and research centers, visit the research by department page. The school's Graduate Student Affairs Office (GSAO) provides a complete range of services for all graduate students in M.S. and Ph.D. programs, as well as potential students interested in joining an engineering graduate program. From recruitment and admission to graduation and conferral of degrees, this office provides many services, including general counseling and advice. We also collaborate with various departments on many student-related issues, and the office serves as the final schoolwide stop for approval of petitions, advancements to candidacy, degree conferrals and other academic processes.